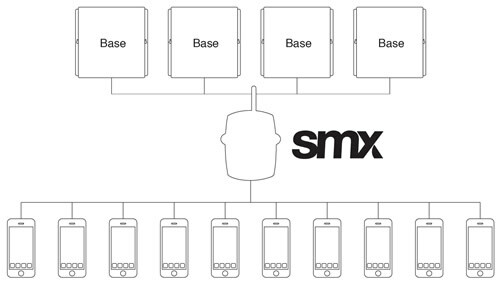 The SMX doesn’t simply have loads more features - we’ve made it smarter and sexier. More powerful, more control, expandable, yet simple. With a sleek new gold PCB and programming interface, it’s unmistakable. The new hardware and intuitive software work perfectly together. Designed with the user in mind, we’ve packed it with the features you asked for and designed it with the user experience in mind. The result - you get much more bang for your buck and a faster, simpler user experience. A brand new USB dongle means units connect seamlessly to your PC. Next generation software makes programming intuitive and easy. Logical screen layouts, simple option selections and clear onscreen diagrams with explanations, make programming the unit a breeze. Message more people than ever. And control it. It’s one thing to add more SMS recipient numbers. Controlling unwanted SMS messages as well, is something else entirely. Yet this is what we did. Message distribution can be carefully considered and easily controlled. After all, you want to inform people, not irritate them. Not just more inputs. More connection options. With multiple and expandable input and connection options, you can just about report any event to any person or device. The 7 on-board hardwired inputs alone, offer endless possibilities. Define a high and low trigger custom SMS message per input and set individual delay times for each input. A new I/O expander module connects serially to your SMX which supplies power to the unit. That's right. Even more possibilities. Two optically isolated inputs for high voltage connections like electric fences are included. A multipurpose analogue input is ideal for general telemetry monitoring like water levels, temperature and other industrial applications. The input can be programmed to trigger at a user defined voltage or current. And… for switching functions, there are 6 additional relays. 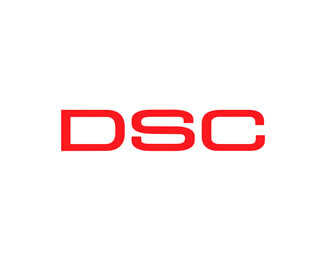 DSC integration. Only RDC can do it. RDC's DSC serial interface provides a communication link between the SMX and the popular DSC alarm panel range. Now you can arm/disarm by Partition in "stay" or "away" mode from your phone. You can even simplify the SMS command by using one of the command shortcuts. A message reply with status information confirms that your request has been actioned to put your mind at rest. Very handy! We've completely rethought alarm panel interfacing to speed up communication. Have we sacrificed compatibility for speed? No way! 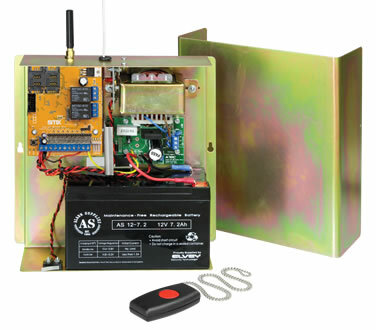 The SMX is compatible with any Contact ID capable alarm panel using the standard TIP and RING connection. Contact ID messages can be sent in standard Contact ID format, but to keep things simple, understandable user defined messages can be input. 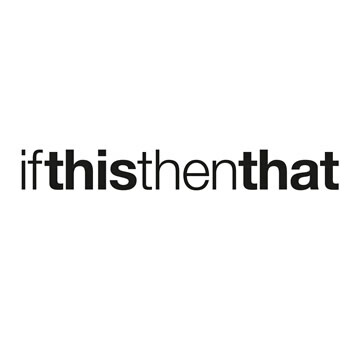 And the cherry on the top - a refined interface for managing message distribution. This little unit is switched on. Two on-board relays (expandable to 8) together with incredible new capabilities make this our most advanced system to date. Relays can be switched by multiple triggering options and, each option has been improved. New command shortcuts turn switching by SMS commands into child's play. You won't feel like you need to learn a programming language to trigger a simple gate opening or turn a light on. Ten different, simple English SMS instructions can be created so that any dummy can control the unit from their mobile phone. Missed calls are free, simple and a great way to trigger the relays. Up to 500 mobile numbers can be used to perform a multitude of switching functions by simply calling the unit's mobile number. And that's not all. Check out the brilliant functions which allow you to limit access for each number. Switching can also happen completely independent of a network connection using 64 different on-board timers. As you would expect, each timer can be customised with various settings. 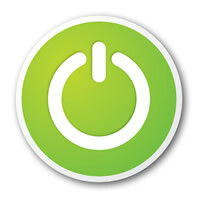 Great for turning geysers on and off to save power. Access to the SMX is protected by password controlled programming, a pin for SMS command functions and a selectable sender verification function. A programmable vibration sensor alerts you if anyone messes with your SMX at the installation. Route SMSs to individuals AND a control room. In addition to 10 mobile numbers, SMS messages can be converted to recognisable alarm telemetry signals and sent to up to 4 different base stations. 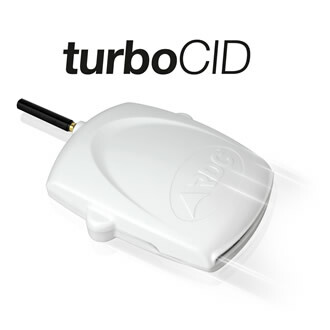 The alarm telemetry's are recognisable by commonly used alarm monitoring software. This makes the SMX a perfect primary or secondary communications device for even high end security installations. 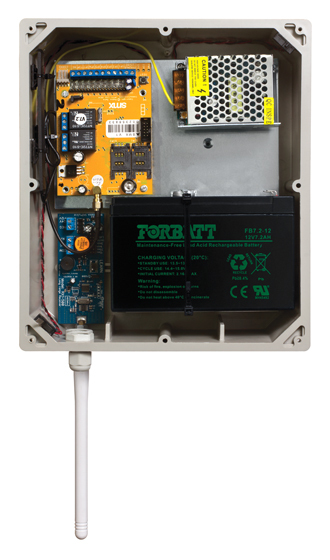 In the world of the internet-of-things, it's crucial that true M2M functionality is accommodated. The SMX can automatically send remote commands to another SMX or other device following a specific trigger. Up to 8 predefined commands can be sent by simply selecting an event or trigger, inputting the receiving unit's mobile number and defining the command to be sent. Voilà. You sit back and watch things happen automatically. The unit self-test feature allows you to customise "heartbeat" test messages confirming the unit is alive and well and has airtime. The AC input reports mains fail and restore. Delays are configurable to avoid SMSs triggered by accidental unplugging and tripping, or during a brownout. DC monitoring messages are generated automatically for low, critical and restored battery levels. What keeps our clients safe? 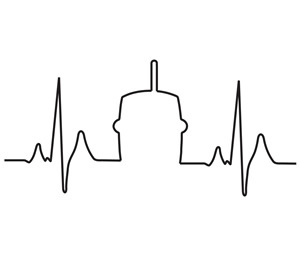 Available as a panic pack or power pack – great for load shedding conditions! 1. 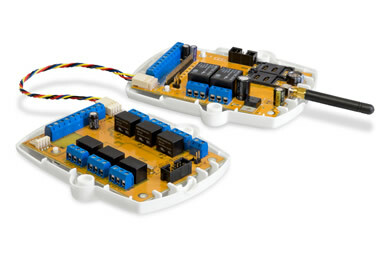 SMX expander with serial cable and DIN rail for mounting of contact switches for AC devices. 2. Designed to expand functionality for outdoor and high voltage applications such as geysers, borehole pumps and farm irrigation systems. 3. Can fit up to 8 contact switches for AC devices. 4. Receiver can be used to send a panic message to ten recipients. 5. 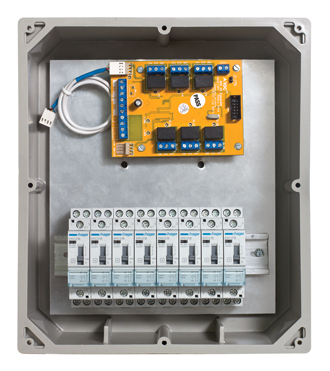 Consists of an SMX expander, expander serial cable, DIN rail in an IP65	rated enclosure with aluminium back plate. 1. Consists of and expander board, with an expander serial cable. 2. 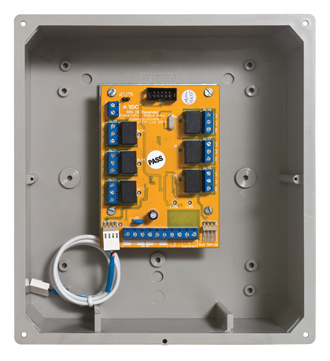 In an IP65 rated enclosure with aluminium back plate. 1. Consists of SMX transmitter, GSM antenna, 12VDC switch mode power supply and 7-amp hour 12VDC battery. 3. Suitable for rural security and outdoor agricultural industries. 4. Easy to programme with step-by-step instructions. 5. Programming Videos are available on “You Tube”. 6. Ideal for situations where the equipment needs to be self-installed.